Welcome to The TinSnip Hairoom, thanks for your time. Hi Jessica here, I have been a Professional in the Hairdressing Industry for over 30 years. In this time I have experienced many ways to offer my services to clients while working at great places and with fantastic hairdressers. "The Tin Snip Hairoom" is a dream come true! 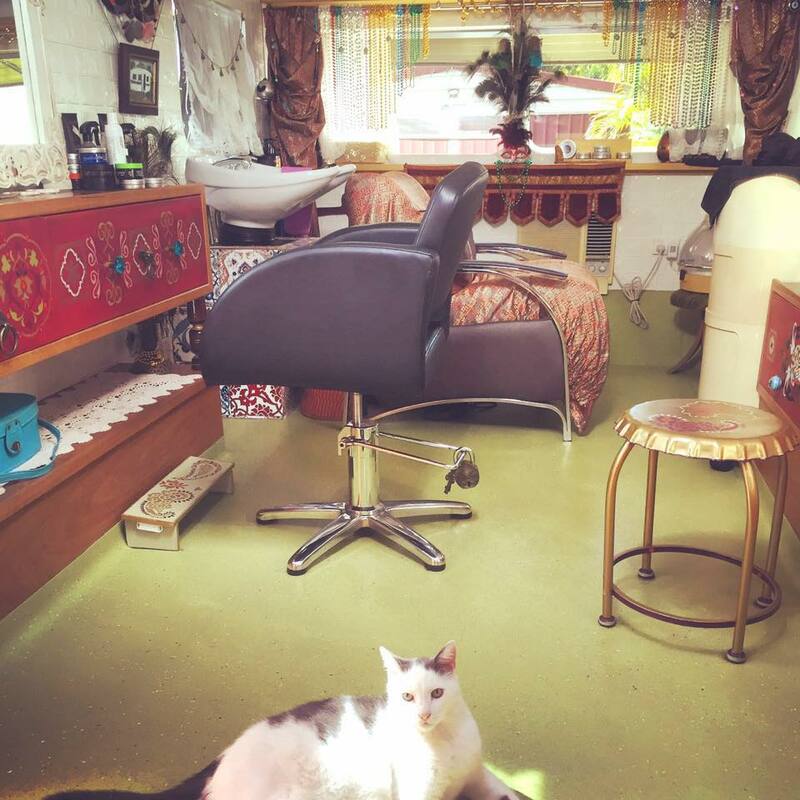 A mid 60's Vicount caravan transformed into a moroccan, bohemian eclectic hair studio. In a quiet Brisbane suburb surrounded by birds, trees & nice open spaces. It's great to be able to offer services that are 100% Certified Organic and Australian Made from Everescents Organic Haircare. Original Mineral Colour System that is Ammonia free, PPD free, Resorcinol free and yes free from harsh chemicals. Safe for me, safe for you and safe for our Planet. We also use Nazzeer Pure Egyptian Henna 100% Natural & Organic. For the Macho Men who love a bit of hair & follicle TLC we use & stock D&T Organic Beard & Hair Care which is Vegan, Organic, Australian Made & hand crafted locally. Along with the full hairdressing services such as foiling, cutting, styling, blowdrying and very importantly advice and guidance as to what's best for your hair. Jaya Haircare @ The TinSnip Hairoom fulfilling all your hair care needs! We say "NO" to harsh chemicals! and "Yes" to Organic and Clean Colour Technology. Safe for you, us and the Planet.